Luxury Cotswold holiday cottage rental agency, Jigsaw Holidays, today presented West Deyne as the newest addition to their portfolio of premium Cotswold properties available for short and medium-term rental. 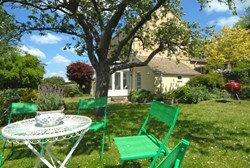 Further information about West Deyne can be found here: http://www.jigsawholidays.co.uk/cotswold-cottages/West-Deyne/. West Deyne is the ideal place for guests to relax and unwind in one of the best areas of the English countryside. West Deyne is a beautiful three-bedroom home located in the historic market town of Stow-on-the-Wold. Featuring an external patio, private country garden and protected indoor solarium, the property offers guests ample opportunity to take in stunning views of the surrounding Gloucestershire countryside. The property is fully fitted with modern amenities including a dishwasher, washing machine, microwave, LCD televisions with Freeview and wireless broadband. Cotswold stonework and original exposed beams add period touches to the charming country home. Jigsaw Holidays representative Anna Phillips explained "the Cotswolds offer a wonderful getaway for guests looking to relax and unwind and West Deyne is the ideal place to do just that. With attractions and neighboring villages just a stone’s throw away, this countryside home allows guests to take advantage of all that the region has to offer." "We have seen an increase in the number of people choosing to holiday in England," added Ms. Phillips "and West Deyne is sure to please guests seeking a delightful stay in one of the best areas of the English countryside." Stow-on-the-Wold is truly a walker’s paradise, surrounded by rolling vistas and plenty of walking routes. The town itself contains an array of antique shops, gift boutiques, art galleries and quaint tearooms. Guests staying at West Deyne will delight in Stow’s excellent restaurants, pubs, delis and bakeries selling a range of locally produced goods. Only a short drive away, guests will find Daylesford Organic Farm Shop and Spa, as well as many farmers markets offering fresh and locally grown produce. Ideal for nature lovers, West Deyne is located in one of the most picturesque regions of the nation and boasts sweeping views of the countryside beyond the property’s own garden. The property also benefits from its proximity to splendid National Trust properties and attractive gardens, including Snowshill Manor and Lavender Garden, Hidcote Manor, Chedworth Roman Villa, Batsford Arboretum and Broadway Tower. 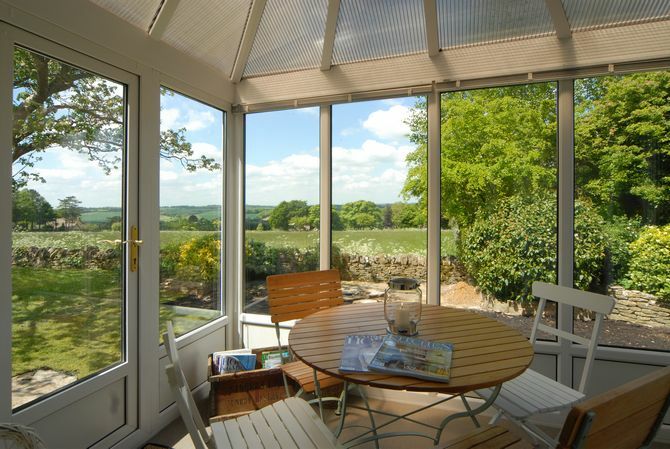 More information about the property can be found here: http://www.jigsawholidays.co.uk/cotswold-cottages/West-Deyne/. In addition to the facilities offered by the property itself, Jigsaw Holidays can also provide guests of West Deyne with catering, childcare and concierge services. The cost for one week rental at West Deyne starts at £655 and short breaks from £431. 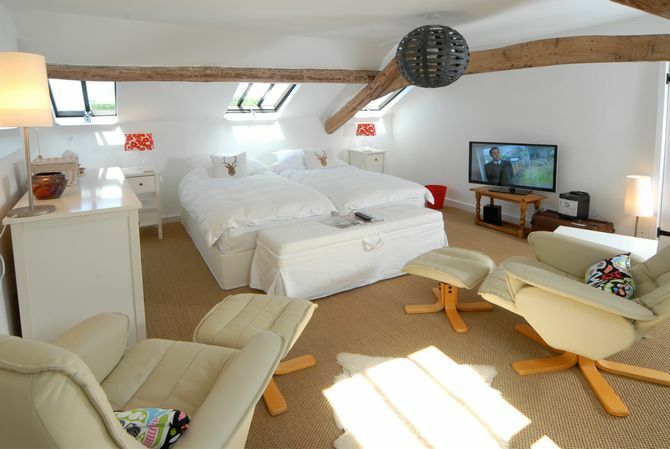 More information about this property can be found on the Jigsaw Holiday website: http://www.JigsawHolidays.co.uk. Jigsaw Holidays is a holiday booking agent specializing in the provision of superior quality cottages and character properties for rental in the Cotswolds, Gloucestershire, Dorset and Oxfordshire, UK. Each property is personally inspected before being offered for rental and the company has extensive local knowledge to draw from when helping to plan holidays for their clients. Jigsaw Holidays was established in 2007 and is based in Witney, Oxfordshire - UK. More information about Jigsaw Holidays and West Deyne can be found on the Jigsaw Holidays website: http://www.JigsawHolidays.co.uk.